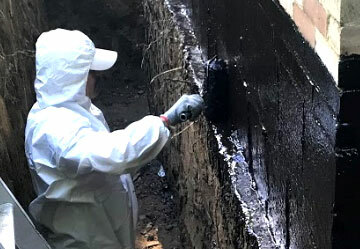 Sferra Waterproofing in Akron can answer your most difficult basement waterproofing, moisture control, and basement finishing needs by utilizing both interior and exterior waterproofing methods. We help our customers improve the quality of their homes. 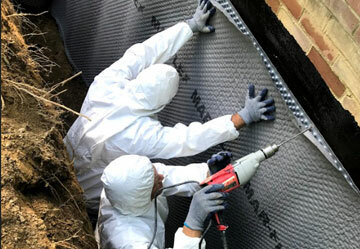 When you choose Sferra waterproofing, you’re choosing our commitment to quality and customer service. Our reward comes from the recognition we receive from our customers. We take pride in creating a safe environment and a comfortable living space. 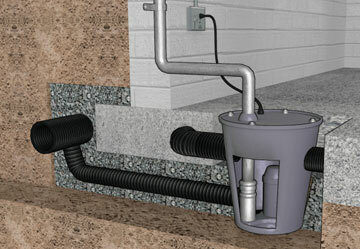 You do not want to end up with a broken sump pump as the additional damage it can do will be significant. Most people do not understand how these devices work and need the help of a professional when they break down. At Sferra Waterproofing we can install a new one if your current device is not working properly and perform any other additional maintenance you require….. Bowing walls move inward primarily due to expansive soils and hydro-static pressure on the walls from outside. However, foundation walls cracks may also be due to many other outside causes, including foundation settlement. 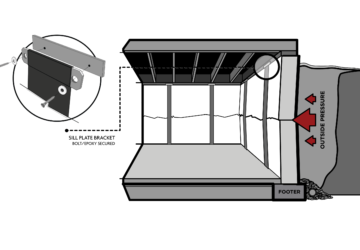 Our foundation experts will accurately identify the cause of your home’s foundation problems…. We respond to emergency flood situations upon availability. Stagnant, untreated, standing water in your basement can cause more serious problems the longer it goes uncorrected. We provide 24 hour water removal to a flooded basement and introduce all of our possible permanent solutions. You already own the space. Utilize it!! This was a great experience. I was impressed to see the drain, sump pump, and concrete all installed in one day. We had Sferra Waterproofing come in and fix an existing water proofing system and pour a new concrete floor. A grand job! No dust, No dirt, nothing left behind.